7075 BILLET T6 ALUMINUM- This product is precision machined, not cast, from the strongest made 7075 T6 Aircraft Aluminum. It is then ANODIZED for improved finish and corrosion resistance. Cross Armory Extended Magazine Catch (for Gen 1-3) is an Anodized CNC Machined Aluminum Catch Bar for Glock with an extended, but not protrusive design. Will complement any glock functionally as well as aesthetically. We designed this part because we were unsatisfied with the current options on the market. We didn’t want issues with hanging up on clothing/ gear when pulling from holster, but were also unsatisfied with smaller profile bars that made reloading mags a bit more strenuous in high stress scenarios. We have created what we believe to be the perfect balance in length, giving the shooter the ability to reload quickly and effectively. The Cross Armory Extended Magazine Catch is CNC machined from 7075 T6 billet aircraft aluminum and anodized for corrosion resistance. It also has improved geometry making the install time minimal, finger response optimal, with increased strength and reliability. 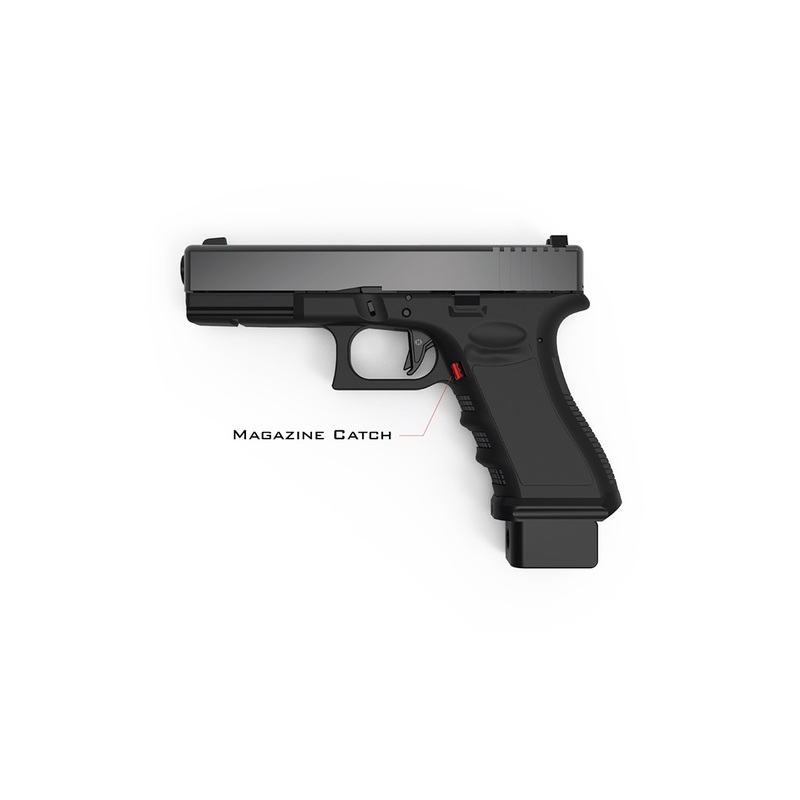 This Extended Magazine Catch is a necessity for any Glock. Hold the frame in your hand like you would naturally when fire ready and look down into the magwell from the topside. You will see the bar that holds the magazine catch in place. Use a pick tool of some sort to get underneath the bar and move it to the right side and pull it out through the release notch. Once the bar is free remove the magazine catch out of the right side of the frame. Place the Cross Extended Magazine Catch into the frame in the same orientation you pulled the old magazine catch bar out. 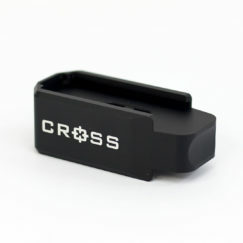 The Cross Extended Magazine Catch is tapered on the push button side which will allow you to fully push the Cross Extended Magazine Catch into place. Take your pick tool and push the magazine catch bar spring back through the release notch. 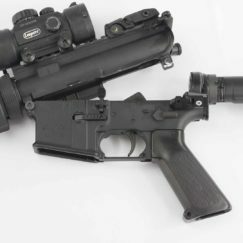 This will set the Cross Extended Magazine Catch in place. The Cross Extended Magazine Catch is not a toy, this part is designed to only be used with the correct listed frames.